ISI Enterprise is ideal for Property and Casualty insurers writing 0 - 500m in premium. A comprehensive solution to run your P&C insurance company, ISI Enterprise is a premier policy administration suite for property and casualty insurers. Combining leading-edge browser-based technology with functionality not found in any other solution, ISI Enterprise includes policy administration, product development, claims, billing, accounting, reinsurance, CRM, agent/broker portal and supporting sub-systems including knowledge/document management, scanning and mail merge. ISI Enterprise Reviews Recently Reviewed! It is good in many ways, especially for simple, non-program policies. Pros: Customer Support is great. The ISI team is prompt and efficient. Reinsurance calculation works for at least 90% of our situations. Only complicated reinsurance situations require user manipulation. We can do some internal configuration changes ourselves. Once users have been trained, it is reasonably simple to use. Cons: Enterprise is not intuitive for a new user in terms of adding new locations or items. The user interface is clunky for maneuvering to locations, items, and coverages. The inability to move windows is frustrating for users. Slow response for large program policies is a frustration for users. Certain changes which would seem to be easy drop-down option changes (e.g. in Activity Central) are base code changes which means a lot of work to change it. The release management for large changes is complicated (e.g. merging feature branch to QA, then we must regression test after the merge). OOSE transactions are challenging for our large programs in particular. I receive feedback from users that searching is confusing. The problem is that when people search for client number in a policy number field, the (interim) policy number that was generated when a new policy was set up is also return. This is confusing because the client number is not the same as the system generated new business policy number. Although I understand why it happens, the users don't and they think there is a bug in the search function. It would be good to come up with a solution for this. Naming of rating and rule tables is inconsistent. Overall: Effective policy management system which handles our reinsurance needs adequately. We've experienced meaningful improvements in processing efficiencies. Pros: I like the functionality of the software - if there is something I require, ISI has probably thought of it. If they have not thought about it, they are receptive to new ideas. Cons: The current user interface is not great but that's getting an update this year! Otherwise, everything is falling into place. Base reports would be my next 'room for improvement' area. We appreciate your feedback. 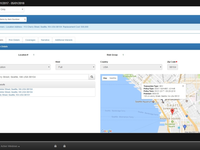 We are excited to begin rolling out our new user interface later this year. Regarding reports, we will be releasing a new business intelligence tool to provide you with more advanced reporting capabilities. Pros: Ability to generate reports in csv format has allowed us to manipulate data easily. From a finance standpoint we can run one report and use it for many of our needs. Cons: The reporting feature needs work. We are often left with running internal sql's as a report that suits our needs is not available. Unfortunately with the volume of issues still remaining we have not prioritized the reports as high and thus the known issues have yet to be submitted to ISI. Pros: The software is customizable and reliable. We have been able to work with ISI's great team to create a system that meets the needs of all of our departments. They were very hands-on in evaluating our needs, assisting with extensive development and testing, and training users. We have been able to make more tasks paperless. I feel confident that the insurance principles behind the software are sound and the logic and controls developed increase overall accuracy. Cons: There has been a learning curve for our team to learn the system, which is expected. There are some redundant work flows (extra "clicks" required) in some places. I am looking forward to the updated user interface and hope that will further improve our experience. Thank you for your feedback. 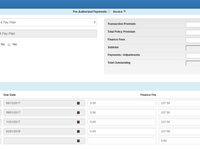 We are looking forward to releasing the new user interface to you later this year. Our product team will be reaching out to you to discuss where we can increase efficiencies in your business process workflows. The system has been invaluable for our SIS team. Experience with ISI staff has been excellent. Pros: Customizability, database structure, speed, scalability, support, configuration system, insurance expertise of the staff. Ability to tailor underwriting factors to specialized product lines is excellent. Cons: There is a bit of a learning curve. The UX is often not intuitive. The UX looks a bit dated, but the new interface preview we saw in the previous user group conference looked excellent. Overall: Everything listed in the "pros" in the previous page. Thank you for the review. We value your feedback. 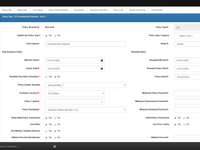 Our new user interface has been designed with our clients in mind. The modern and sleek design will allow users to move intuitively throughout the system. Pros: the new system implementation has brought about many efficiencies for all departments and we continue to realize more efficiencies as we continue to use the system and expand our development opportunities with ISI. Cons: as with any new system implementation, there have been some ups and downs but overall the downside of development and implementation have not been critical. The benefits of the new operating system far outweigh any of the issues that we incurred during development and implementation. Significantly improved our data capture and manipulation. Increases efficiency. Pros: For property and casualty insurance, ISI Enterprise provides a good suite of products for our policy administration, claims, product development, reinsurance, accounting, billing, and CRM needs. It captures so much more data and has increased our processing efficiency significantly. Their customer support is efficient, timely and very receptive to suggestions or new ideas. Their knowledge and understanding of insurance is really excellent. Cons: Most of the time, reinsurance calculation works really well in almost all scenarios except for those really complex situations that require manual intervention from the user. The ISI team is quick to respond with solutions when issues arise. Pros: We have never had claims, underwriting and accounting under one software package. ISI Enterprise has allowed us to do that. From an accounting perspective, I like the internal controls and system health checks developed by ISI that allows the system to keep subsidiary ledgers in balance with the general ledger. System health checks send emails to responsible parties when transactions occur that could leave a subsidiary ledger out of balance. Processing most accounting transactions (such as receipts, AP invoicing and payments, journal entries and bank reconciliations) can be done with a minimal amount of clicks. The implementation and support teams are superlative. Pros: The Enterprise software solution offers a full range of modules to conduct every business need for underwriting and issuing policies, handling claims, and reinsurance reporting. Their reporting tool is dynamic and allows for a range of information to be queried and displayed in an easy to read format. Overall: The Enterprise software solution allows us to have one, fully-integrated system. Before using this product, we had multiple systems to handle underwriting, claims, accounting, and billing. Now, this is the only system we use. The team at ISI integrated two separate software products into Enterprise which significantly decreased administrative work. It has been a very good experience, the team has been responsive, and quick to address any issues. Pros: Integrated solution with controls to enforce best practices to ensure transactions are properly completed. Cons: Inability to update future effective quotes to reflect prior effective out of sequence transactions, but instead have to recreate the quote and re-enter all data. Thank you for the review. This is an item that our product team has been reviewing and considering for our ISI Enterprise roadmap. ISI has been responsive and innovative to in helping LML implement it's new core system. Pros: I feel like the functionality of the system and the ability of the ISI team to shape it to fit our needs, when necessary, has the core system of our business set for all our current and future needs. Cons: If I had to find one thing to complain about it is the software being standardized on IE. You can use it in other browsers (and we are) but the standard is IE. Overall: We have collected all the ancillary programs we were using for Accounting, Document imaging, Claims, Underwriting, forms creation and reporting into one fully integrated tool. It's one stop shopping for us now. Thank you for the review. Our new user interface being released this year will have full support for all browsers. We're looking forward to deploying it to your team.